Well, it had all started with the legends of a blurry St. Valentine and his love for Love, and now has gotten itself creatively elaborated into an entire week. Oops! Not just a week; also an Extended Valentine week! But love’s what life is all about, right? And of course, love- being one of the basic emotions, this day is the most awaited in the whole world, triggering an effort to expression, to enform the abstract. Well the legends about our murky St. Valentine are plural. Some say there was more than one St. Valentine! 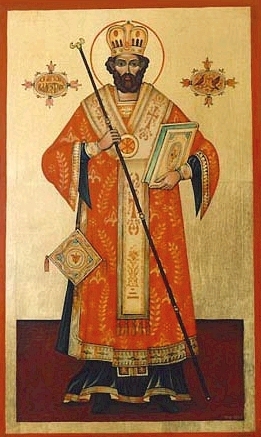 A legend says that Valentine was a Roman priest in the third century. When Emperor Claudius II decided that single men made better soldiers, he outlawed marriage for young, unattached men. Valentine continued to perform marriages in secret. When his defiance was discovered, he was put to death. Another legend says that Valentine fell in love while in prison with a girl who visited him. Before his death, he sent her a letter signed "from your Valentine," an expression that has been carried down through the ages. Also, February 14th was formerly believed to be the first day of the birds’ mating for the season, which sparked the custom of sending valentines to each other. During the Middle Ages, there used to be a tradition, where young men and women drew names from a bowl to see who their valentine would be and they would wear the name on their sleeve for one week. This was perhaps the origin of the expression "wearing your heart on your sleeve." Oh it’s no more just “Valentine’s Day”. It’s more than that; it’s almost the entire month! It starts on the 7th of February with “Rose Day” and funnily concludes on the 21st of February with the “Break up Day.” And here is the entire list! Kumaran Silks wishes you a very Happy Valentine’s day (weeks).